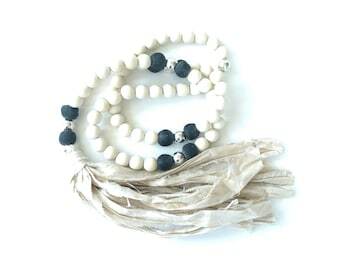 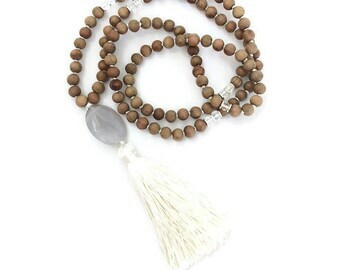 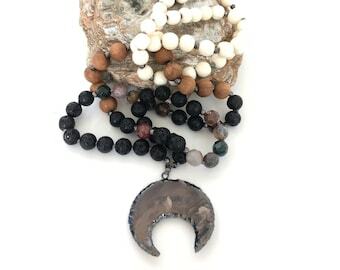 Smoky matte quartz beads hand knotted on sky blue silk with blue Amazonite accents and a white tassel. 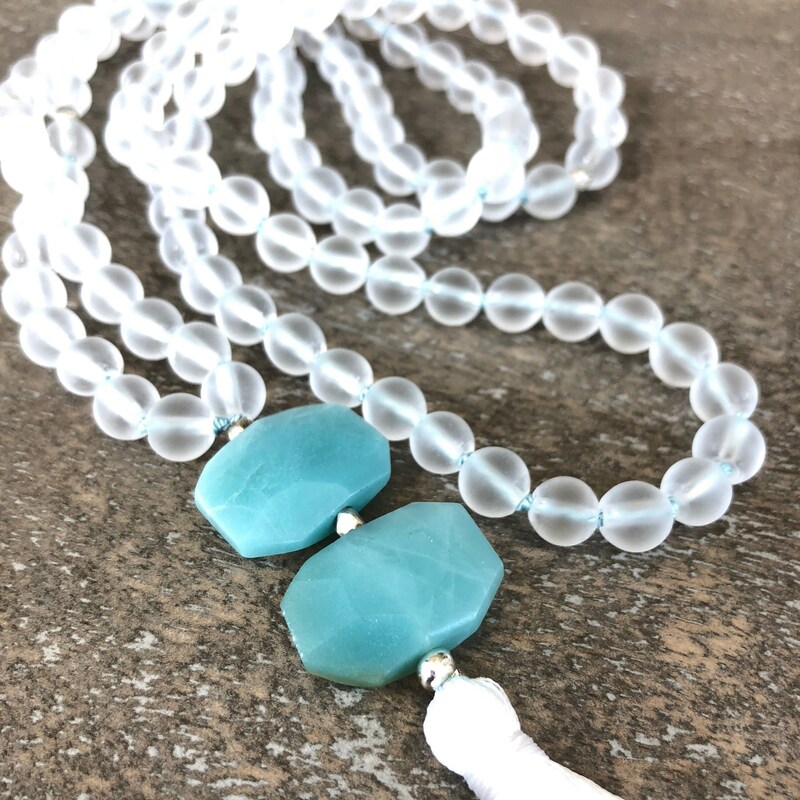 The blue silk cord shines through the translucence of the quartz and gives the beads a beautiful blue luminescence. 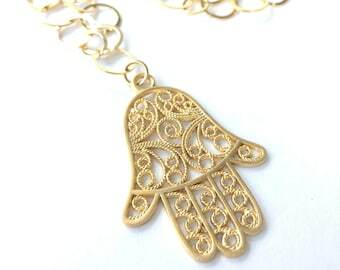 It will arrive to you in a Girl 108 jewelry bag.